The Center for Christian Spirituality is an expression of the University of San Diego's core values. We seek to serve our San Diego community at large and its surrounding areas, with programming that contributes to the spiritual development of all. 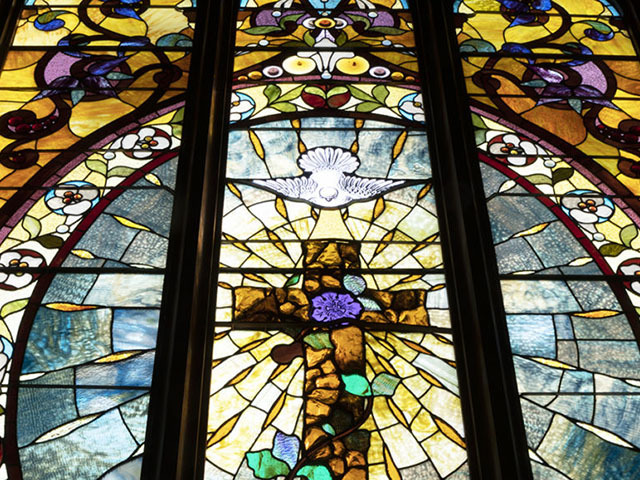 The Center for Christian Spirituality (CCS), based on Christian spirituality rooted in the Roman Catholic tradition, welcomes a broad horizon for learning, understanding, dialogue and appreciation of the diversity of beliefs and cultures that enrich our community. As part of a university setting, and the division of Mission and Ministry, the Center cherishes both faith and reason and wishes to support all who seek to shape their lives in a manner consonant with their deepest values and meaning. Lecture: "A Legacy of Love and Learning" Read Sr. Osiek's lecture commemorating the bicentennial of St. Rose Philippine Duchesne’s arrival in the US. Video: "The Name of God is Relationship" Watch a video recording of Fr. Daniel P. Horan’s lecture hosted in USD’s Founders Chapel. We welcome your suggestions on topics of importance to you, topics pertaining to the spiritual development of peoples and that meet the mission of the Center. We seek to program for the spiritual journey based on the needs and desires of our community at large.